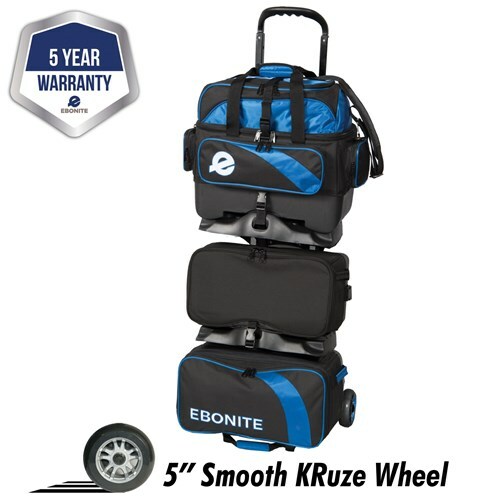 The Ebonite Equinox 6 ball roller is Ebonite's high performance bowling bag. This bag holds up to 6 bowling balls, shoes up to men's size 15 and lots of accessories. This bag has a top bag that can be removed to serve as an independent 2 ball tote. Don't miss out on this great bag. Will all three bags sperate from each other? Due to the time it takes to produce the Ebonite Equinox 6 Ball Roller Royal ball it will ship in immediately. We cannot ship this ball outside the United States.